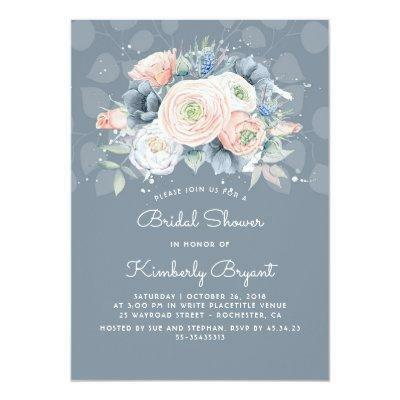 Slate blue, peach and dusty rose floral bridal shower invitation. The unique dreamy pastel colors palette: rose quartz with its soft pinks and peach shades and serenity color with such an elegant and dusty blue. The amazing hues, gorgeous flowers, sweet typography invitation!